Thank you! Yes, weather can be scary! Thank you very much! 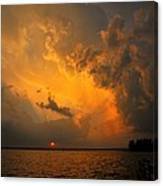 I was a most unusual cloud formation and I was lucky to catch it right a sunset so the gold color shone through the clouds. Terri the saying is true. All nature displays the handwork of God. The thumbnail photo was powerful enough to make me want a closer look. This photo truly gives God the glory. Bless you. 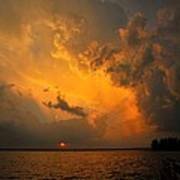 A thunderstorm clashes with the setting sun. 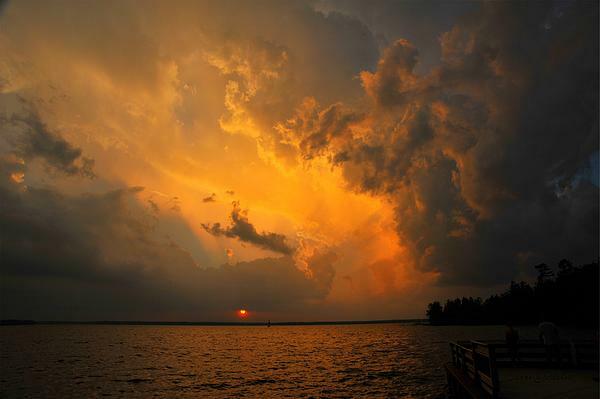 This weather photograph was captured over Lake Mitchell in Cadillac, Michigan, USA. 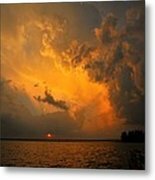 The Fine Art America watermark will not appear on ordered prints.